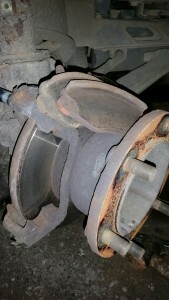 Is your car or van squeeky or noisy under braking, do you have more serious brake issues or do you just want to have your vehicle’s brakes looked over to make sure they are good and safe? Visit the friendly staff here at AGS Garage Services… We like our customers to come back, so we treat all customers with respect – and we are enormously proud when the same customers revisit. Do you need a service on your car or van? 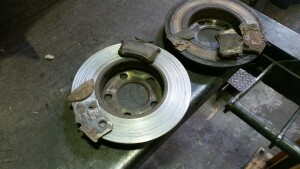 Have you got noisey brakes? Is your MOT due for renewal? Call Aqua Garage Services on (023 92) 864 835 …we WILL look after you! Our trusty Ford Transit makes another appearance this month. 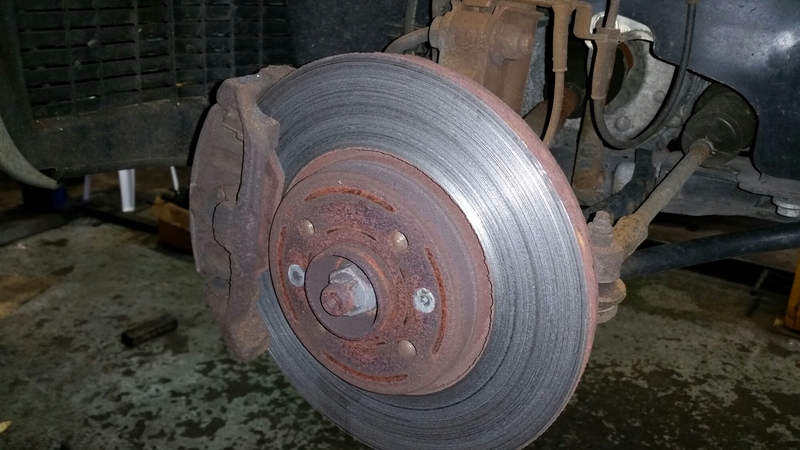 This Transit had the wrong front brake discs and pads fitted by another garage in the past – causing uneven wear to the brake pads. eventually this wore both the brake discs and the pads to the point where they needed replacing – with the correct parts this time round!